These are three key factors an innovator or an innovation industry implements in an updated version of their tools and goods. Once we were pleased with steel made analog stapler for our regular operations, though they had only limited usages. The world changes fast, so do our needs and wants. Now we expect more from a stapler. To satisfy users necessities, some renowned brands come forward to manufacture electric staple guns. Manufacturers produce guns and users buy them. End of the story. It would be a beautiful story if all the buyers could have bought the best staple gun for themselves! 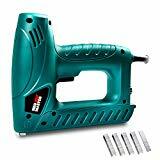 After reading the headline of this review article, as you are reading these lines too,we are sure that you are also searching for a good performing electric staple gun. Let's assure you that we are going to help you to get the right electric device for stapling and nailing. 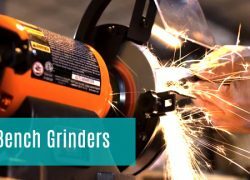 Throughout this content, we will cover 10 industry’s best staple gun reviews and a comprehensive buying guide to help our readers to choose the right tools for themselves. 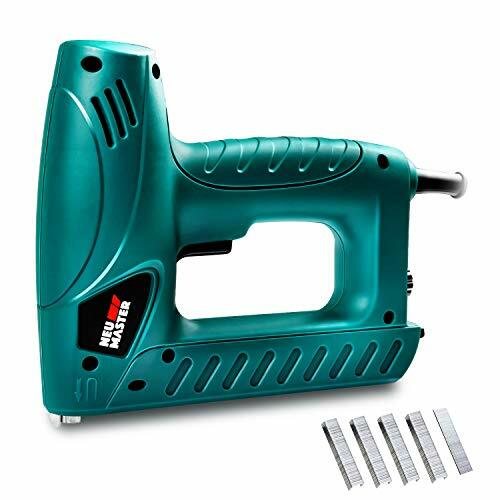 Manufacturer Neu Master produced this N6013 staple gun with two in one competence. 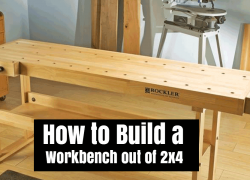 If you buy this staple, you won’t have to buy an extra nailer. This heavy-duty electric gun does both stapling and nailing with proper care. The staple unit is facilitated with an ergonomic grip, power adjustment dial, and soft grip handle. This arrangement promotes comfortable to use and minimizes the chance of functional exhaustion during operation. Staples and nails used by N6013 are manageable, those are also used by other industry leaders like Arrow, Stanley, and Bostitch. 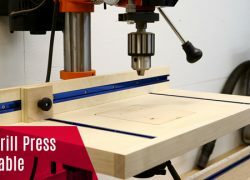 You will get the best experience using this machine on soft wood like pine, leather, textiles, plywood, cedar, cardboard, for stapling, and also onhard wood like oak, beech wood, MDF board. The lower recoil levels facilitate in easy operation. So even if you are not well enough using this types of electric gadget you can operate it easily. Whether you are a novice or experienced user your all working hours will be safe and free of any unintentional firing. A contact safety switch is installed with the machine to prevent accidental shooting. It’s a machine for using on both smooth and hard exteriors. Depending on your surface hardness you can control the tacking strength for your projects. Simply turning the adjustment nozzle, you can get your desired measurement. Refilling staples, as well as nails, are relaxed a process. There is a magazine lock at the end of the gun, unlocking it you can slide off the magazine cover to reload new items. At once you can reload 100 staples or 80 nails. Stanley is a renowned manufacturer of office tools especially staple/nail guns. Stanley TRE550Z is a great choice for the persons who are planning for doing huge DIY projects. The influential driving power is the key advantage of this model. 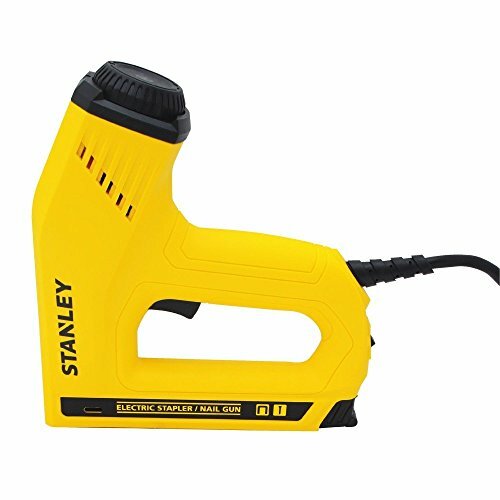 This Stanley TRE550 electric device works appropriately as long as you use it accurately. Talking about its performance, the depth of penetration is on an envious level. The design is also very impressive and handy to use. Comfortable, jam-free stapling to constant rapid succession, you will get all these services within an inexpensive price tag. The stapler is designed with the anti-jam mechanism, flush nose to achieve tight spots and a contoured grip handle for supplementary comfort during stapling. Moving to its external beauty, this model is available in a vibrant yellow color which I always prefer. Brad indicator is also an innovative addition of this vibrant design. Some guns are specially made for stapling on hard materials, some are for soft. Using this one you will be able to do your task on both materials. Because it is designed with unique dual power (Hi/Lo) lever. Also, you can continually shoot the staples in swift succession without losing its power. But, you should be watchful holding the gun and applying the right pressure on the gun to operate. It’s a corded stapler, has an 8-foot-long power cord. This long cord allows you to work around a wide range of area. Longer cable means you also feel convenient moving and angling the stapler. The gun use Stanley Sharpshooter TRA700 series or Arrow T-50 heavy duty staples, also 1/2-, 9/16- and 5/8-inch brads. Brads are very much available in any hardware store. The Quick-jam-clear mechanism is an innovative feature. It saves both time and effort. You may know that electric guns are prone to jamming after a few successful nailing. Here, the anti-jamming mechanism shields the jamming and ensure nonstop stapling. Also, the reloading process is quite straightforward and simple compared to some other electric staple units. 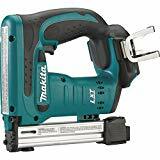 Makita-XTS01Z is a cordless battery operated staple gun designed for doing a wide range of application. 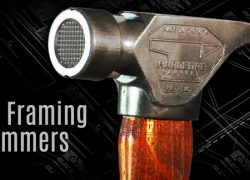 This gun is recommended for residential construction, remodeling, woodworking and cabinetry among other house chores. It also can be used in the production environment for outdoor framers to apply house wrap. This crown stapler doing best undertaking applications those require a cordless 3/8-inch crown stapler. Its conducive design makes it a comfortable gadget that one can use for a long time without complaining about muscle strains in his/her hand. The model is a part of Makita’s expanding 18V Lithium-Ion series. This lineup is the world’s largest cordless tool line up, powered by an 18V Lithium-Ion slide-style battery. Makita 18V batteries have the fastest charging feature. Now you can spend more time on stapling then waiting for the machine to be fully charged. 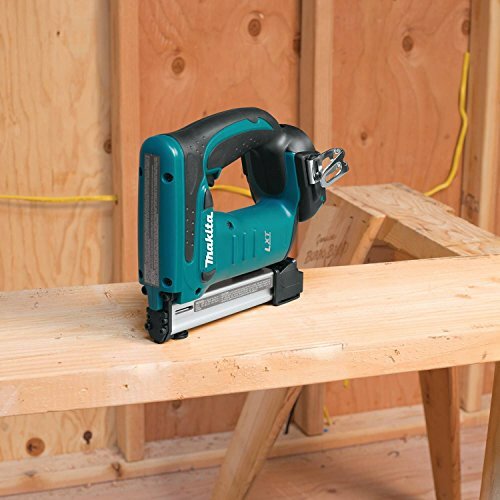 For increased versatility, the tool can also be equipped with Makita 18V LXT and Compact Lithium-Ion batteries. For impressive tool performance and extended battery life, the manufacturer created Star Protection Computer Controls (SPCC) system. It’s a communication technology that allows the SPCC-featured tools and battery to exchange data in real time and monitor situations during the use, to protect against overheating, overloading, and over-discharging. This gun will drive 3/8 inch to 7/8-inch length staples (3/8-inch crown), also utilize Arrow T50 type staples for the maximum level of versatility. The convenient depth control setting can be controlled with a single knob. Rugged machined aluminum magazine also ensures easy loading of staples. With the help of the window on the magazine, you can observe the number of remaining staples. d. Ergonomic Design with a Compact Size. Spring-loaded driving technology allows for a more compact tool with less burden. The gun weighs only 5.3 lbs. with the length of 9-7/8-inch. Ergonomic shape fits like a glove with even in pressure and ensures easy control. And the soft grip provides good comfy touch during stapling. Paslode-900078NT is a professional staple gun made for heavy duty usage. 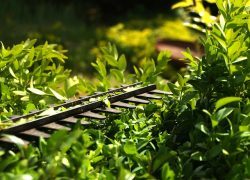 It offers a 16-gauge operational experience so that you can quickly finish your fencing and flooring tasks. This device is built like a tank, making it apposite to take outside for various construction tasks you may have. The stapler is featured with powerful battery backup, lightweight body, and quick stapling facilities. Before start stapling, make sure the stapler is fully charged. In full charged condition, you’ll have the best working experience. The battery is the heart of portable stapler. The more powerful the battery is the longer stapling periods you will experience. This model of Paslode uses a battery/fuel cell power method where the battery ignites the fuel cell to shoot the staple. The battery can be quickly put into its charger, it charges quickly, and you can use the gun once again within a short time. Portable guns recommended for indoor users and cordless gun are for the outdoor user. You will get both advantages using this gun. 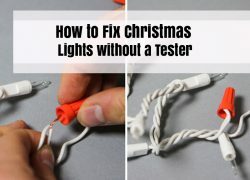 So it will be wise to use the cord while doing inside operation, and store the battery power for any power cut or outdoor use. You will enjoy quick stapling using this machine. The staple gun is able to shoot 2-3 staples per second, also its fuel cells are able to shoot around 2000 staples before running out of charge. Lightweight design reduces users’ fatigue and increases productivity. As the device is lightweight stapling on the roof, and on any uncomfortable angle becomes stress-free. The user also gets the maximum amount of penetration even from an unusual position. 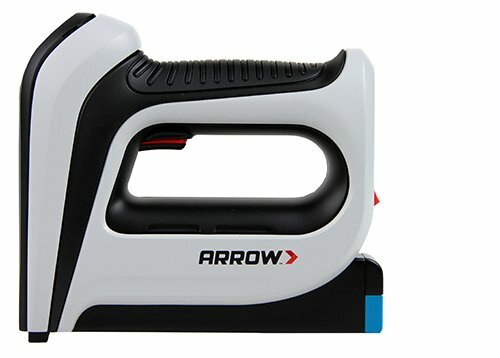 The T50DCD from Arrow is an exceptional electric stapler. Its exceptional features and benefits made it a palace in our list. The cordless stapler is ideal for crafts, upholstery, decorating, and other general repairs. Arrow T50DCD has a new breakthrough design powered with 3.6v lithium ion battery that able to deliver 500 full power shots on every full powered condition. Performance of this hand device is 25% more than its competitive cordless electric devices. Arrow also provided battery indicator light, contact safety, a soft over molded grip, and a staple viewing window. So be ready for experiencing something exciting. Cordless design means you are free to move anywhere any distance with your tool. This gun doesn’t need any direct electric supply for operation. So using this machine you will feel safe, speed and freedom of stapling. Here the 3.6v lithium-ion battery is rechargeable. You have to fully charge the battery for an unstoppable stapling session. To keep you aware about the battery status, the manufacturer added battery an indicator. Checking this indicator, you will get to know how long you can staple. Which is good for project planning. The stapler will provide you convenient quick magazine reloading facility, so if you run out of staples you can reload them easily without losing your enthusiasm in the middle of stapling. Additionally, you can monitor the availability of staples and reload them when it is needed. Arrow T50DCD electric stapler not only staple materials it also takes care of overall external beauty after stapling. The Arrow attached contact safety features with a non-marring nose that ensure a flawless finish every time. A simple task like nailing or stapling can be hurting when you will not get a comfy handle to work on. But, the producers care about users as that’s why designed their guns with comfy handle. this handle advantages you more when you put a lot of pressure on the machine to endure impeccable penetration. The stapler is made for facing tough jobs like tacking up corkboard, insulation material, upholstering with leather. The gun also offers the precision that you need to work with more delicate materials like fabrics and foils. In addition, this one is powerful enough for driving brad or pin nails into wood and other hard exteriors. The U630E by Air Locker stapler and nailer is a sturdy tool. This professional tool shoots 3/8" crown, Senco and Porter Cable upholstery "C" type staples and 18-gauge brad nails. Here the design of the nailer combines both power and convenience. A user will experience quality service from the device with proper safety measure. This machine functions the same with both staples and nails. For easy staple/ nails refilling, electric upholstery stapler features have been added. When your device will be out of nails, you can refile the magazine with staples or nail within no time. To reduce nails misuse and ensure safe operation, the nailer stops unintentional shooting. As an additional security measure, a contact safety mechanism has been added. It’s a corded device so a cable must be added. Here you get an 8 feet long power cord for uninterrupted power supply to your machine. Operation of this nailer requires some pressures so you have to put pressure on the machine during stapling. When you pressurize the stapler, a rubber grip layer will take care of your hands' muscles and ensure you long relaxed operation. For an interruption-free stapling session your stapler should have the capacity of containing a maximum number of staples and nails. In this model, you can store 100 nails or 165 staples at a time. Which is enough for the types of jobs those for it manufactured. Having said that this is a professional tool, the durable body structure is expected. U630E’s exterior body is covered with sturdy materials and weighs slightly heavy. Heavy durable design helps the user nail perfectly putting minimal pressure on this unit of the staple gun. Probably staple gun is the only gun that you can carry without getting permission from law enforcement authority. But you shouldn’t! I mean it will not be wise to buy and carry a staple gun without going through the minuscule details of the staple gun. Shot speed and shooting range are two most crucial facts that a gun buyer considers while buying a gun for defense. Here also have some factors that a buyer should be careful about during buying a electric staple gun. What to Look For While Buying an Electric Staple Gun? Power makes the electric staple gun ready for the operation. 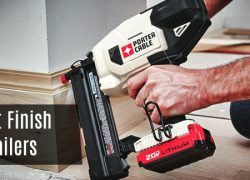 All the staple guns are classified into two categories based on power configuration, corded and cordless. Corded staple machine has a cable that connects with electric socket and creates an uninterested power flow. Length of power cables ranges from 8-feet to 12-feet. Almost all the cables have the capability of carrying 100+ voltage from input sources to the devices. Users who are planning to use their machine within a limited area or inside of their house usually prefer corded machines. Cordless machines do not require any cord to run. There is an inbuilt battery inside the stapler that supplies the necessary power for the electrical unit. The battery of a particular nailer may not fit with another one, every model certainlyhas an acceptable list of batteries. The more powerful the battery is more runtime you will get. A special kind of cord is provided to charge the battery. And, there are few staplers those provide both corded and cordless facility. You can use the stapler using cable or using the stored energy. For using with stored power, you must have enough charge stored in the battery. Among staple guns, some are staplers as well as nailers, and some are only staplers. Elaborately, some machine has a chamber for only staples where you can’t use nails. In exception, some magazines hold both staples and nails depending on the requirements of the user. Staples and nails both come in various sizes. Basically, it’s your intended job that will decide the size of the staples and nails. Most multi-purpose staple guns fire 3/8-inch staples, whose are known as narrow-crown staples. The size of the staples and nails sometimes determined by the hardness of the surface, and level of penetration that you want. Your purpose for buying the staple gun is very important and is the first factor you should consider. Staple guns are not universal tools, they should be chosen where and why they will be operated. Some staples are made for penetrating onlythe soft surface and some are for both the soft andhardsurface. In fact, your purpose will also help you to decide your staple among analog steel staple and modern electric staple or even a pneumatic one. Versatile tools come with the superpower of working on various surfaces and with various staples/nails. 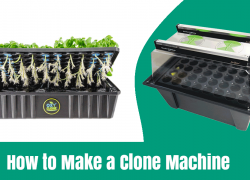 Having a versatile device, you don’t need to buy a different machine for some related tasks for the tasks it has been bought. 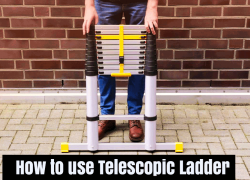 For example, a versatile device that is bough for doing roofing, flooring, fencing and upholstery tasks, can also be used for decking and any other interior repair tasks that you may have. Cost is another key factor that a buyer should keep in mind. Albeit cost determination is a personal choice, you should be aware that you spent your bucks for the right one, and you got the best one in your price range. When buying the best electric staple resembles your needs, remember that you are buying a machine which may crack anytime! So before buying electric staple make sure that the manufacturer offering warranty for the device. Safety features safeguard the user from happening any unwanted incident. Safety features are not mandatory but those will make your tasks secured. Sometimes you have to staple at the corner of your room or a place where sunlight hardly reaches, at that situation LED light enabled nailers will help you do the nailing properly. If your staple has LED light guide, you can also concentrate solely on stapling rather carrying light in one hand. The magazine holds the staples and nails inside the staple gun. Almost all the device has easy input facility for the staples and nails. Having a magazines how case, the user can easily monitor the status of the remain items inside the holder. This feature speed up the tasks reducing frequent checking time. Stapling requires some pressures. If your nail gun has as mooth grip, you will have better control over it. Users who are planning to buy stapler for regular and frequent usage, also mostly will use on hard materials, having smooth grip holding is recommended. Otherwise, after 2 or 3 sessions of stapling, they may feel lack of energy in their hand muscles. Additionally, smooth grip works best for the users who sweat too much. With few modern electric staplers, there is a lock switch just beside the trigger. Lock switch keeps the user safe from unintentional firing also reduces the waste of nails because of accidental shoots. It’s time to get your desired electric stapler. Considering those above factors you eligible enough to choose a model. 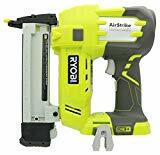 After selection, you can either go to any physical shop or order from web stores to purchase and assert you a proud owner of an electric staple gun. Throughout this section of our intensive best staple gun review, we will be covered some questions with their answers. Those questions have been asked by the users of the models again and again. I hope this section will help you to finalize your model. And you may get your unanswered question about a certain model or may know something interesting about a particular model that you just loved while reading its review. Question 1: How Often Do I Need To Clean My Staple Gun? Ans. To keep your tool in the uppermost condition follows the maintenance intervals section of the operation manual. There you get all the details about cleaning and taking care of your stapler. Question 2: Can I Use Normal Pneumatic Oil To Lubricate In My Cordless Electric Stapler? Ans. No, you can’t. 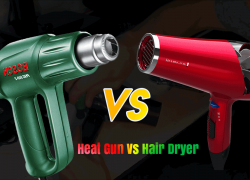 Cordless tools need a particular type of oil that is compatible with the higher temperatures also proficient with the combustion of the gas. Question 3: Is Stanley TRE550Z Both Stapler And Nailer? 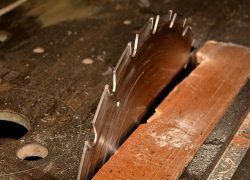 If Nailer, What Kind Of Nails Do I Use? Ans. Yes, it is a brad nail gun as well as a stapler. 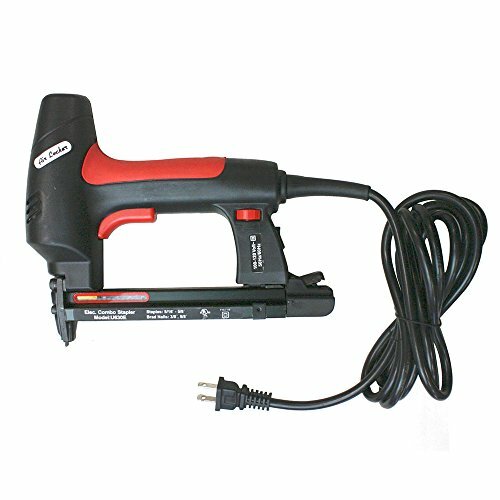 This electric gun takes 5 sizes of staples (1/4", 3/8", 1/2", 5/16", & 9/16") and 2 sizes of brad nails (1/2" & 5/8"). Question 4: What Types Of Crown Staples Work In Makita XTS01Z Stapler? Ans. The stapler works with 3/8- inch staples, 10mm staples, and Arrow T50 staples. Question 5: Does Arrow Fastener T50DCD Auto Fire Like An Automatic Electric Gun? Ans. No, every time you have to press down on the nose to depress the "safety" then squeeze the trigger handle for firing. Question 6: Can I Use 220v Or European Plug With The Air Locker U630E? Ans. This model runs on 120V and has a standard American plug. You’ll need a step-down transformer and plug adapter to use mentioned plugs. Question 7: Does Roberts Model 10-600 Need A Compressor? Ans. No, you don’t need any compressor, it is an electrically powered device, and works great itself. Question 8: What Are The Maximum Size Of Brad Nails Those The Arrow Fastener T50AC Can Take? Ans. According to the box, this model compatible with 9/16 14mm or 5/8 15mm nails. Moreover, it will take up to 9/16 14mm staples as well. Question 9: Can I Use Finishing Nails In Ryobi P360? Ans. No, you can’t, this is just a staple gun. Question 10: Can I Repair Nonstructural Columns measuring 1-Inch X 12-Inch Using ThePaslode900078NT Electric Stapler? Ans. Yes, you can do that. But, the staples you will be used must be 2 inches long and are sturdy enough. If you wish you can use Paslode2-inch staples which are available in any web store or physical store. A staple gun can be your helping hand and a necessary addition to your toolbox if you can get an electric staple gun that is especially made for you. But, there are also other wings of the experience, some users buy the tool and instead of getting the assistance they just become affected, their surface becomes damaged because of constant miss firing! We wrote all the lines because we care about your working objects, and we never want to see them damaged. If you really went through our words, we are confident that you will be able to purchase the best electric staple gun that will give you precision, not frustration.